Well, I really like the series. I haven't read book #3-4 yet, but I'm hoping to get to them soon. 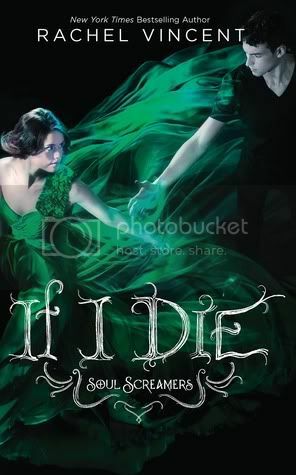 I had actually forgotten that there was going to be a 5th book, and was so excited when the cover was revealed. Harlequin has some really awesome teen books, I just love them! Nice one! I actually just read all of these, so I'm definitely waiting for this one. I'm very curious to find out what might happen next. I love this cover and the story sounds really interesting. I haven't read this series yet but it's definitely going on my list, great WoW! I've only read the first in this series, so I've got a few catch up on. I love this cover though. This is new for me. I like the green on its cover. I had no idea a cover and synopsis were available for this one yet. I actually haven't read the latest book yet (bad of me, I know). I think I like the sound of this one much more. It renews my faith in the series. Fantastic pick! Haven't read this series yet but they sound good. Great pick! I keep looking at this series and wanting to try it. I have another series of hers in my TBR pile. I haven't read any books from this series but I've always wanted to. The cover is definitely drool-worthy! Awesome pick! I have heard so much about this series but haven't read any of them. They sound so good though. I am going to have to check them out. Totally can't wait for this one either! Always seem to be waiting on a Rachel Vincent title! I have this series,,written in my book folder,,just havent read any of her books..but this sounds like its gonna be good,,might move that series,,out to the TBR.. This does sound unique...hope you enjoy it. First off, I totally adore your new layout! It is SO cute. On to the book! I haven't read anything in this series yet. Crazy right? Well I do plan on changing that since I have the first 2 books! Wow I am so going to have to look into this series! This book sounds so interesting!! Thanks for posting about it!! I've heard some really great things about this series, I'll have to check it out. Please stop by my WoW! I can't wait for If I Die. Great pick this Wednesday. I haven't read this series....eeeek. 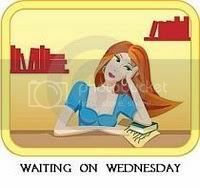 It definite is hard waiting on a book that is a series. happy reading! I haven't read this series yet but it sounds really interesting and will have to add it to my list. I've got the first four book in the series but I haven't started them yet. So little time. Love your new blog design! Heard some really good things about this series, I need to check it out! Great pick! I have this book in TBR pile, and I can't wait to get a chance to read it! I don't know too much about this series in particular but I see her name popping up all over the place that I might have to check out the first book. Thanks for the reminder! I've only read the first 2 books of this series as well, but I can't wait to read the rest! Great pick, and that cover is amaaaazing. Oh, I have the first three books in this series! Still have to read them, but I am seriously excited to do so! :D Great choice! This whole series is on my TBR. I need to get on it. Great cover!